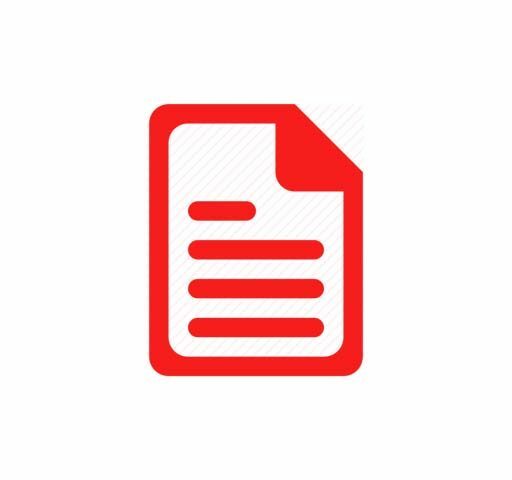 (Andy McDonald MP for Middlesbrough). 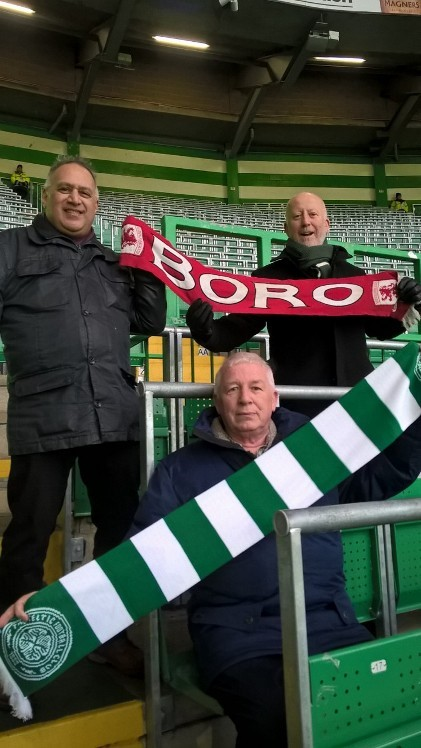 Chris Joseph(Chair)and Peter Hodgson(Secretary) of the Middlesbrough Supporters Forum(MSF), the independent umbrella group for Boro fans, were accompanied by Andy McDonald MP for Middlesbrough and Shadow Minister for Transport on Saturday 26th of January 2019 to watch Celtic play Hamilton to stand in the Rail Seating section of Parkhead and experience it for themselves. With a barrier(“rail”)in front of every seat and every seat bolted back(except for UEFA matches when seats are down) and plenty of space, since Celtic put in their rail-seating (see attached photos) three years ago, they have found that it is the easiest part of the ground to steward without a single safety incident. The Celtic fans, including families with small children, enjoy a fantastic vibrant atmosphere standing in the rail-seating season- ticket only area. There is no danger of falling forward, unlike in the Premier League and Championship where standing in front of seats without barriers is commonplace but ignored by the authorities and impossible to steward. Safe-Standing areas are also a feature of the Bundesliga”. 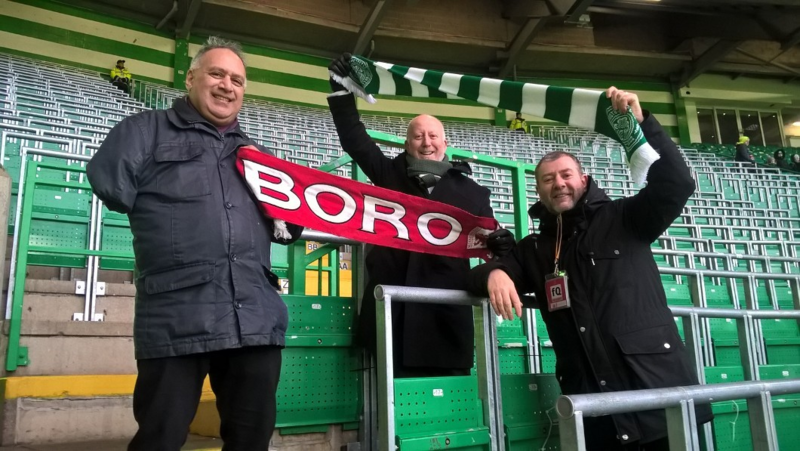 Andy McDonald said:- "I was delighted that Chris and the Middlesbrough Supporters Forum invited me to visit Celtic Park and see the rail seating in action. It is clear to me that safe-standing areas are popular, provide an excellent atmosphere in the ground and most importantly are safe for fans. I will be taking this up with the Sports Minister and lobbying for safe standing to be permitted in grounds in England."